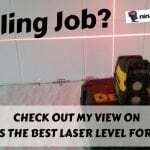 Best Power Tool Kit For Homeowners In 2019 ☛ What Tools Should Have? 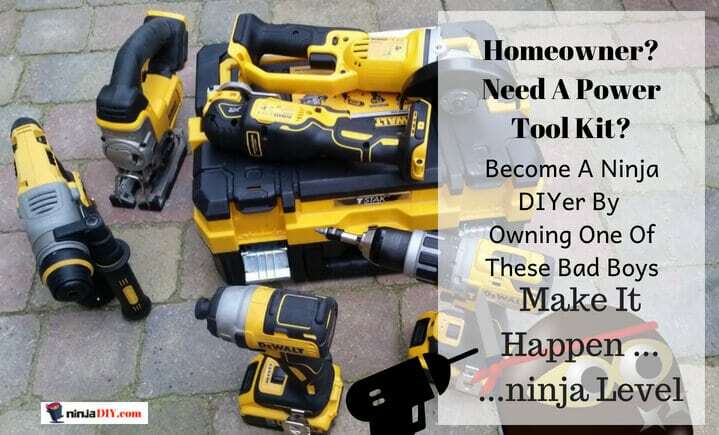 Home » Best Power Tool Kit For Homeowners | What Tools Should Have? Last Update: 16.12.18 By Adrian B. And for that … of course, you need some tools. Today I’ve put together what I believe to be the best power tool kit for homeowners to assist you with your present and future DIY home improvement projects. Power toolkits come in a wide range of profiles to suit the various needs of professionals as well as DIY enthusiasts and homeowners. Getting the right power toolkit can save you a great deal of time and effort in your various household tasks. You might perhaps be unsure of what combo power tool kit to buy or maybe you’re wondering what options are available on the market. Well, look no further, in this article, I’ll introduce you to the top 5 power toolkits for homeowners. 5.1 Sounds like a handful doesn’t it? One involves finding a power tool kit that has all the power tools you are likely to use. This option is best suited for a wide range of small-scale repair projects. You can also go for a kit that is meant to satisfy a narrow range of very specific tasks and often professional needs. The latter is for the seasoned builder with a decent collection of tools and accessories. Other kits may come with impact drivers and other additional accessories such as work gloves, a stud finder, and protective eyewear. There are plenty of brands to choose from and with such as Porter Cable, DeWalt, Bosch, Makita, Black&Decker Milwaukee Power Tools and more, you cannot go wrong. 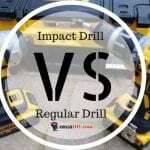 I'm sure that you already know that DeWalt’s quality of power tools is beyond reproach and has been for many years now...so I want to remember that we are talking about excellent quality stuff here. This power toolkit is built tough to last and brings you five power tools. The circular saw included in this package is quite light and nimble and the best part is that it is cordless. An impact driver is also included and is the perfect tool for tasks that require driving power. It is, however, unsuitable for drilling. Next up is the hammer drill which performs exceptionally well considering it is also cordless. For most lightweight drilling tasks at home, the hammer drill included in this combo kit will exceed your expectations. A reciprocating saw is also part of the package. Its usefulness cannot be overlooked in simple tasks such as building a shelf or making repairs around your home. As far as precision cutting tools go, DeWalt has it all figured out with this reciprocating saw. Last up, a flashlight is included in the kit to serve your various illumination needs. It has an intensity of 110 lumens and is perfect for working in parts of your house with no lighting at all. The 20volt MAX Cordless Lithium-Ion quarter inch impact driver features a compact, lightweight design that allows it to fit into tight areas. The cordless lithium-ion reciprocating saw has a keyless blade clamp that allows quick changing of the blade change without having to touch the blade or the reciprocating shaft. The cordless hammer drill heavy duty features a half inch metal ratcheting chuck with a carbide insert that is unrivaled in superior bit gripping strength. A belt hook is also included to improve the kit’s portability and spare 20volt max 3.0 Ampere-hour lithium-ion battery packs. The hammer drill is not meant to perform heavy duty drilling tasks. People who bought this power tool kit seemed to love the durable build and ergonomics of the tools which is really no surprise with DeWalt. The battery packs scored highly with most buyers. The only complaint I've found was the lack of a magnet on the drills and a bit carrier. This power tool kit is perfect for professional contractors, homeowners, and hobbyists as well. Sounds like a handful doesn’t it? Well, the cost of the entire power toolkit is well below what it would cost you to buy each individual power tool. With pretty much every power tool you might need, this combo kit comes highly recommended for homeowners and DIY hobbyists. The drill driver has a 2-speed gearbox with 21 adjustable torque settings that allow it to run up to 1500 rpms. On the other hand, the Impact driver can achieve speeds of up to 2800rpms. The circular saw operates at a maximum speed of 4000 rpm with a cutting depth of about 21/8 inches. And the reciprocating tiger saw operates at 3000 strokes per minute and is perfect for tasks that are in awkward positions. The variable speed jigsaw is cordless and can run up to 2500 strokes per minute via 3 random orbital action settings. For the oscillating multi-tool, I can say that it features an easy blade change system while the grinder peaks at a max speed of 8500rpms. The 20 volt 4.0Ah and 1.5Ah Lithium-ion battery can hold a charge for extended periods with the option of purchasing additional battery units if you need to. The impact drill and the drill driver feature LED lights that illuminate the work area eliminating errors. The flashlight included in the package has an output of 120 lumens. All power tools included in this kit are built to withstand heavy usage and feature excellent ergonomics. The circular saw, for instance, is quite compact yet performs at the same level as a majority of competing professional models. The 1.5A.h battery is a bit underpowered. What I've found is that consumers loved the variety of tools that came in this kit. The tools are suited for a wide range of tasks and eliminate the need to get additional tools for special tasks. Despite being incredibly durable, this power toolkit is not designed to withstand prolonged abuse. None of the tool's motors are brushless. This Black and Decker product is the ultimate 4-tool cordless power tool kit for homeowners. It features a drill/driver powered by a 20Volt Max lithium ion battery, a circular saw, a reciprocating saw and a handy work light. Black & Decker have been in the power tools market for a while now so you can trust that the quality of the tools in this kit is top notch. The drill/driver tool features a 3/8 inch chuck and runs between 0 to 650 rpms making it ideal for the basic DIY projects. 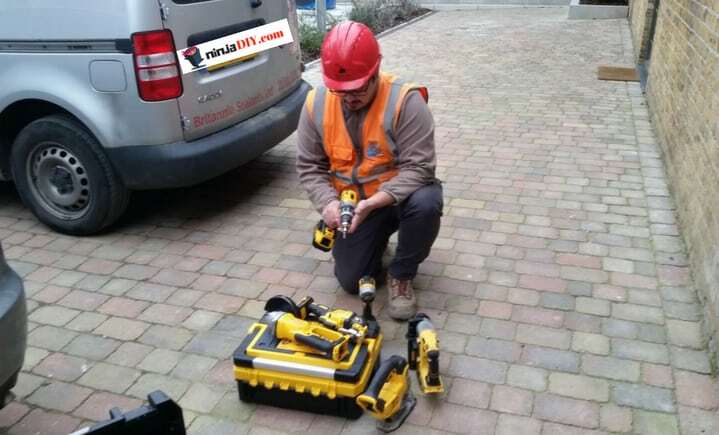 The drill/driver also features an 11-position clutch that prevents the possibility of stripping of screws and consequently damaging your work materials. As a standard, Black & Decker included an LED work light for improved visibility in dark spaces. The circular saw comes with a 5.5inch blade that is capable of powering through 2x lumber. The high torque motor is suitable for simple DIY cutting projects at home. The reciprocating saw operates at 3000 strokes per minute with a 7/8 inch stroke length. The saw is designed to allow for a tool-free blade change. The two batteries included in the kit store charge for prolonged periods which mean you spend more time working on your projects and less time charging. All tools included in this kit have a comfortable, ergonomic grip that makes a huge difference when you are working long hours on a maintenance or repair project. A compact, lightweight design allows you to start and complete your projects without any fatigue whatsoever. The working light provides up to 11 hours of illumination which is way better than what other competing brands offer. The circular saw provides a tool-free depth cut through quick and easy adjustments. A simple bevel adjustment allows you to perform angle cuts with ease. It is rated among the best-selling power toolkits for homeowners and hobbyists in its class. The batteries take up to 4 hours to charge which is very long compared to competing brands. In our findings, consumers seemed to love how flawlessly the tools worked. 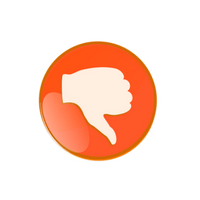 There was no mention of a single malfunction or defect and very often, the warranty expired without any defects. This is despite heavy usage and abuse. The only issue consumers complained about was wanting an extra battery included in the kit to allow for longer uninterrupted work sessions. Bosch is a revered power tool manufacturer with a reputation for high-quality products that work exactly as they should. And to be honest, I have always seen the Bosch brand more for HOME IMPROVEMENT GUYS/GIRLS rather than for CONSTRUCTION PROS...it's excellent quality. This power toolkit comprises four tools which include a quarter inch hex impact driver, a half inch brute hammer drill driver, a circular saw. A majority of basic household maintenance and repair tasks require you to have more than just a simple screwdriver and a hammer. It is with this knowledge that Bosch put together this power tool kit for homeowners and hobbyists. All tools in this kit are cordless. The brute hammer drill/driver is equipped with two-speed settings. The high-torque drilling setting runs at 500 rpm while the high-speed setting runs at 1,700 rpm. This hex impact driver operates at 3900 rpm meaning it can easily power through any material you’re working with. The circular saw and reciprocating saw have easy blade changing systems and work using two-speed settings. Tools are running on 4-pole open frame motors which deliver significantly more power while keeping a smaller size. The tools are small and compact enough to allow for one-handed operation in awkward positions without fatigue. The battery packs included in this kit deliver above-average performance. The batteries take a short time to charge and retain a charge for extended periods of time. This power toolkit is meant to accomplish light tasks at home. Exposing it to heavy-duty projects presents some obvious performance issues. In my findings, the consumers loved how simple this power toolkit is to use. 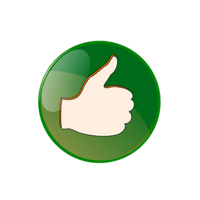 With some basic manuals, you can be well on your way to starting and finishing some repair and maintenance projects. The motors used in the power tools are not brushless. Consumers seem to prefer power tools with brushless motors since they offer higher torque-to-weight ratios. For its price, this Ryobi kit is perhaps the best power tool kit for homeowners, DIY hobbyists, and even professionals. A reciprocating saw with a blade stroke of 7/8 The saw operates at 100 strokes per minute without any load speed. This kit has been compared to professional contractor power tools based on the performance of the individual power tools. The lithium-ion batteries used to power the tools are a huge improvement over the Nickel-Cadmium variety previously used. They last a great deal longer on a single charge and take way less time to charge. The drill/driver is equipped with a powerful enough motor to meet all your torque needs while at the same time being equipped with a clutch mechanism that prevents stripping the screws. Whatever materials you’re working with at home, rest assured that these tools will step up to the task. The tools included in this power toolkit have a compact design that is ergonomic to handle and use. This means that your hands won’t get fatigued halfway through your project. A four-tool combination means that all your cutting, drilling and driving needs are catered for in one package. You won’t need to buy additional specialist tools which would otherwise cost you more. The tools are designed to be easy enough to use even by rookies. Using the simple manuals, you can easily get to work and realize professional-grade results in no time. The manufacturer includes blades for each of the saws meaning you won’t need to buy your own saws. You can get started as soon as the package arrives at your doorstep. The motors used to power the tools are not brushless. The consumers absolutely loved how durable the tools in this kit are. Additionally, the battery packs provide enough power to start and finish a project without the need to stop and recharge. It was noted that the jigsaw blades require frequent changing with heavy usage as per the accounts of several users. It provides the best value for your money as well as impeccable performance. You can not go wrong with this one. But Black&Decker combo kit is a very loved one as well by homeowners and DIYers ... and I think you know why? Obviously, it's the price. It's almost half the price than my preferred choice, the DeWalt DEWALT DCK590L2 combo kit. I guess, as with many things in life ... it will come down to money when you will make your choice. Was this Best Power Tool Kit For Homeowners article helpful for you? Please let me know in the comments. Hi Adrian, Which would you recommend for a beginner who wants to build his own furniture? I want to build a bed foundation and frame as a pet project, and I’m not entirely sure what tools I might need. Thanks! Hey Brian. Thanks for stopping by! And the reason for that is because for you to build your own furniture you need to have as many cutting tools as possible…the more you have the better quality and less time you spend on each task. So you will 100% need a skill saw to cut your timbers, a jigsaw, and multi-tool as well for those small and awkward cuts. And this combo kit has many items 🙂 … that is why I believe is great for you. Thanks again Brian, and if you have any other questions please let me know! If you have any questions about home improvement, constructions, DIY, power tools or anything related to this … don’t hesitate to drop me a message here. I will do my best to assist you with your questions or projects.